You can now find match reports on most of our games for the 2015/16 season -- check out our First Team and Second Team sections. A mixed Seaford team produced a dominant performance and a more comfortable victory than the scoreline might suggest against Premier Sunday side Terenure College AFC, on an evening that was marred by a cruel recurrence of injury to one of the club’s all-time greats on his return to the line-up. Goalkeeper Mike Frawley made his first appearance in almost a year, and only his second since early 2013 after suffering a back injury, only for his return to be cut short by injury whilst pulling off a stunning first half save. All at the club wish him a speedy recovery and hope we’ll see him back in action before long. Seaford had already taken control of the game prior to that point. Striker Mark Sullivan had scuffed an early opportunity straight to the goalkeeper after being put through on goal by Gordon Baird’s inch-perfect throughball, but he made no mistake midway through the half when he was presented with a second opportunity, this time by Shane Lauritsch, who punished a terrible mix-up in the Terenure defence. Moments later, Rory O’Huiginn made it 2-0, bursting down the left wing onto another incisive pass from Baird to round the keeper and finish in style. Frawley’s extraordinary save prevented a Terenure free kick from reaching the top corner of his net, flicking the ball onto the bar with his fingertips, but the shuddering impact on landing caused a recurrence of his long standing back problem , and he was forced off to be replaced by Stephen Nolan. Nolan was largely a mere observer until the 56th minute, when a penalty was awarded against Baird for handball. However, the Seaford keeper maintained his extraordinary record at saving spot kicks by pushing the firmly struck shot wide of the post. A host of second half substitutions disrupted the home team’s rhythm, and they struggled to convert good possession into clear-cut chances, the best opportunity falling to debutant Mark Cullen following another defensive blunder from Terenure, but Cullen’s lob didn’t quite have the height to evade the visitors’ keeper. 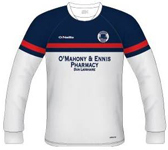 Seaford’s hopes of a first clean sheet of pre-season were dashed in the final minute of the 90 when Terenure broke quickly down their left side following a corner, and their winger nicked the ball around Nolan to slot in for 2-1. A rather experimental Seaford line-up put in a dogged performance against strong opposition from the Sunday Major division, and were unfortunate to lose out in a tight and well spirited match. The almost total lack of natural defenders necessitated the deployment of a rather makeshift back four for the home side, a situation that was compounded when John Bannon was forced off with a recurrence of a previous injury after just a few minutes. Even by that stage, certain organisational difficulties were in evidence, with CYM missing a golden opportunity in the very first minute, cheaply finding a way down Seaford’s right channel, only for their winger’s extravagant chipped finish to drop inches wide of the post. Nevertheless, there was a lively tempo to the match, for a pre-season friendly, and the midfield industry of Jimmy Hussey and Piers Shelton, and target man Paul Lydon’s brilliant link play caused the visitors difficulties. But the home side fell behind in farcical fashion on 16 minutes in. A low cross from CYM’s right bisected two Seaford debutants – keeper Eoin English and substitute Barry Glynn – and amidst the confusion the luckless fullback, under pressure from a Terenure forward, miscued the ball into his own net. The rest of the half was evenly matched, albeit with few goalscoring opportunities for either side. After the break, Seaford enjoyed plenty of possession in attacking areas, but still chances were in short supply. The best opportunity fell to Shelton, who was desperately unlucky not to convert a sensational free kick delivery by Hussey, the ball dropping inches over the bar. As Seaford pushed for an equaliser, CYM threatened on the counter-attack and it was in those circumstances that the visitors doubled their lead. Tommy Crichlow, who had put in a flawless performance as an emergency centre half, momentarily misjudged a throughball, allowing Terenure’s pacey substitute striker to run in on goal and beat English with a marvellous finish. Seaford continued to play decent football in an attempt to get back into the match, with veteran Frank Mulhall on the left wing looking most likely to fashion an opportunity, but Seaford were denied by brave goalkeeping and wayward finishing. Despite the defeat, the match was a very useful exercise in building pre-season fitness, and manager Alan Burns will have been very encouraged in particular by some of the debut performances by summer recruits, most notably from composed centre back Adam Finnegan, and the midfield due Shelton and Hussey. With plenty of well established players to come back into the fray, there are plenty of ground for optimism for both Seaford teams in the coming season. 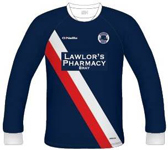 Congratulations to Lawlor's Pharmacy, Bray and O'Mahony & Ennis Pharmacy, Dun Laoghaire on winning our Jersey Sponsorship Raffle this evening. The club will be investing in two new kits with each winner having their names on a kit. Thanks again to all companies who entered the raffle. Seaford Rock Utd. are Arthur Lynch Cup Winners 2014 following a 4-1 victory over Valeview Shankill yesterday evening. A big congratulations to all involved particularly 2nd Team manager, Paddy Hughes and assistant manager/Captain, Barry Kirwan. It's the first silverware won by a Seaford Rock Utd. 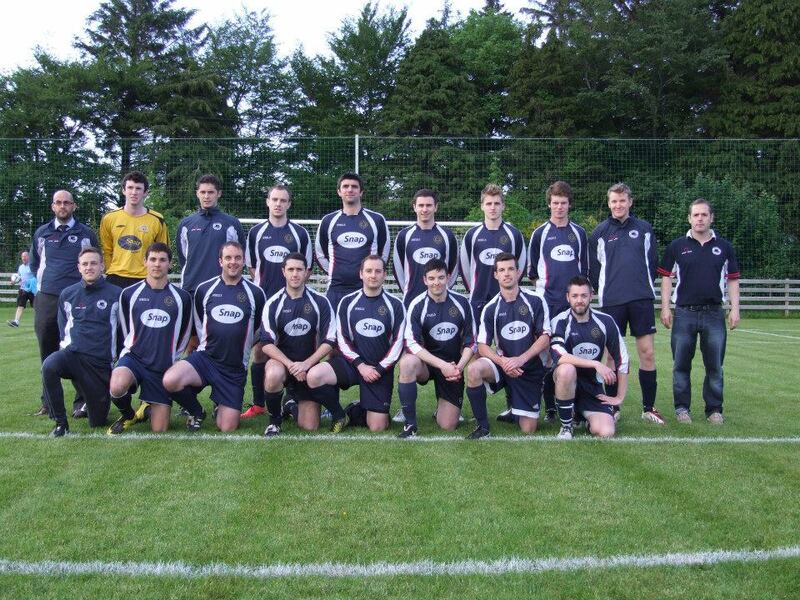 team, with the last Seaford Utd. cup win being twenty years ago. We would like to thank everyone who came along to Enniskerry to support the team, it was very much appreciated. Saturday will now be an even more enjoyable day as the Past take on the Present Players at 2pm followed by drinks and awards in The Wishing Well. We are holding our end of season awards and more importantly Seaford Rock United Past (Legends) Versus Present game on Saturday the 24th of May. Plan is to meet at the pitch at 1pm with kick off at 2pm. The Legends are putting forward a strong squad for this fixture and have been training hard for a number of weeks. We will need a strong turnout from our Present players to be able to deal with the challenge. Drinks in the Wishing Well after the game. Then the coveted Player of the Year Awards ....and then more drinks. Champions League final is on that day also. Looking forward to seeing a strong turnout.